You’ve certainly heard of using living trusts as a way to avoid probate. While assets placed in such trusts may be bought and sold during the trust grantor/creator’s lifetime, once he or she dies the trust usually becomes irrevocable and the trust cannot be freely amended. Other types of irrevocable trusts prove useful for asset protection while the grantor is still alive. As alluded to, there is one big catch to an irrevocable trust – you cannot readily modify it. If you understand and accept that, it’s one of the best tools for protecting assets from creditors. The reason is that the trust can restrict a judge from forcing you to amend the trust against your will. You may not have as much flexibility available compared to a revocable trust, but the asset protection benefits of an irrevocable trust may outweigh other factors. 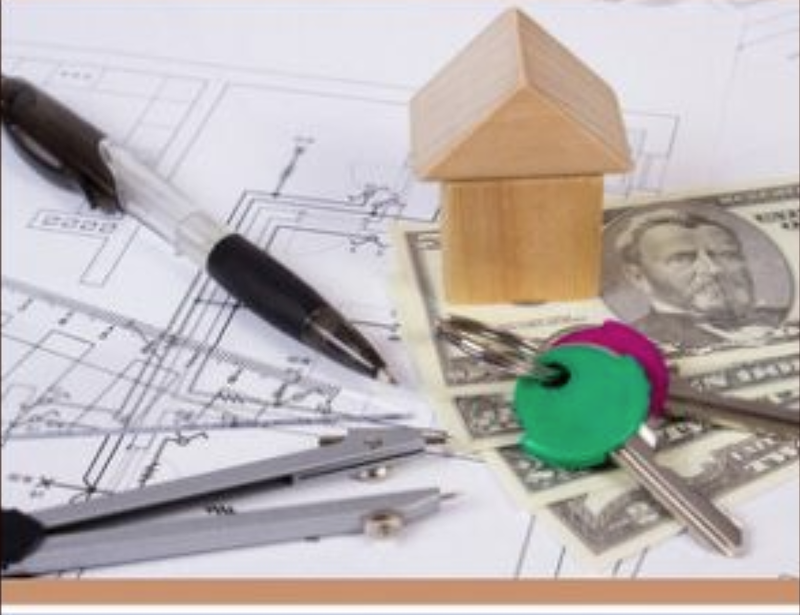 The standard irrevocable trust can protect assets from creditors, when properly established, because the grantor neither legally owns nor controls those assets. A future creditor can’t come after the irrevocable trust assets, unless a court finds the debtor was setting a trust and transferring assets into it for the purpose of keeping assets away from creditors within a certain timeframe. 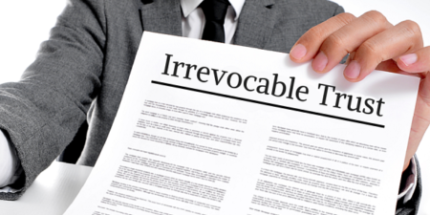 But there is much more to know about how irrevocable trusts work. It’s not just having one that protects your assets. The one who drafts it must word it properly and precisely. Moreover, it needs an arms-length trustee. That is, the trustee cannot be a relative up or down your family tree. For example, the trustee cannot be you, your parents, grandparents, children or grandchildren if you want it to give you asset protection. You cannot have an agent of yours, your attorney or accountant, for example, as a trustee. It can also not be a controlled employee. The courts consider all of these parties your alter-ego which will invalidate the trust’s asset protection. If you create an irrevocable trust not long before a creditor receives a judgment against you, it’s likely a court will find the transfer invalid. That’s why it is crucial to create and fund irrevocable trusts long before you think you need asset protection. Alternatively, the trust can be set up offshore beyond the reach of local courts. There are myriad irrevocable trusts available, most designed for specific types of asset protection and tax benefits. This article is intended to provide some basic education about irrevocable trusts and examples of various types as well as helpful tips, hints and advice. Here are some of the most common. You’ve worked hard all of your life and want to leave assets to your children and grandchildren. If you or your spouse spend considerable time in a nursing home, your dream of leaving assets to your heirs goes out the window. 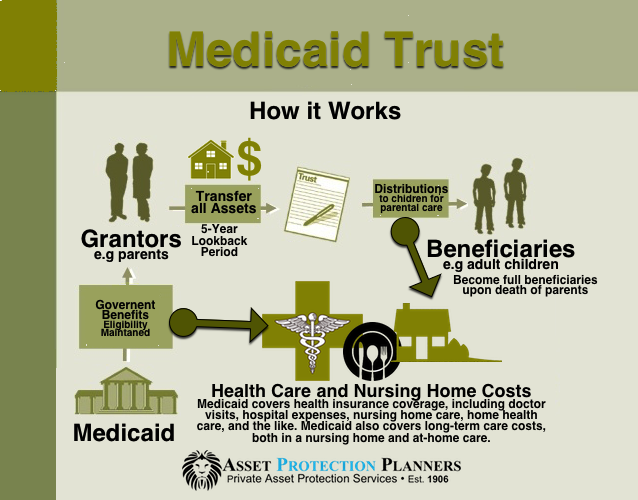 There is a way to protect your assets from Medicaid, and that is by creating a Medicaid irrevocable trust. You still receive income from the trust during your lifetime. 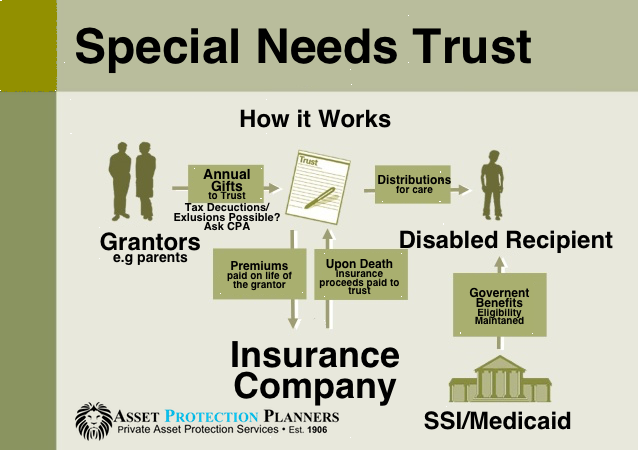 Such trusts are complicated, and you need the services of an experienced professional to draft one. One mistake, and Medicaid may count all or part of the trust’s assets and your planning comes to naught. A Medicaid trust does more than protect assets from creditors. It also eliminates your so-called “countable assets” for Medicaid purposes. However, you should not put all of your assets into the trust. It’s important to leave yourself a cushion if life doesn’t go according to plan. With a Medicaid trust, timing is everything. By law, the Medicaid trust requires funding at least five year – 60 months – before you or your spouse applies for Medicaid. If either one of you must enter a nursing home before that 60 month time frame, try to pay nursing home costs with assets outside of the trust until the IRS “look-back” period ends. For example, if a nursing home is inevitable 54 months into the trust’s creation, do the best you can to pay for those six months’ expenses with other funds before the Medicaid applications. Your family may kick in for those expenses and receive payment from the trust as long as the terms of the trust include this possibility. College costs are skyrocketing. You want to ensure your child or grandchild can afford a good higher education without drowning in debt. A 2503(c) minor’s trust, also known as an irrevocable children’s trust, fills the bill. 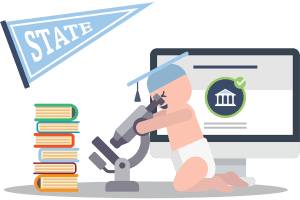 Such an irrevocable trust is not the best choice for every potential grantor, but it does serve as a tax-efficient instrument for higher education savings. The trust is intended for college expenses, but the child may decide not to attend college, or quit school. Once they reach the age of 21, they still receive the property and income in the trust. At that point, they can spend the money however they please … not a possibility many grantors want to entertain. Before the beneficiary turns 21, lower tax rates apply to trust income. Should the child decide to leave funds in the trust after reaching age 21, they become responsible for paying taxes on any income, and at their rate. On the plus side, the conversion of a 2503 ( c) trust to a Crummey trust permits annual gifts to keep benefiting the gift tax exclusion even after the beneficiary turns 21. There’s a caveat: You, or your spouse, should not act as the trustee of a Crummey trust. That’s because if the trust exists when you die, it becomes part of your taxable estate. Have a trusted relative not directly up or down the family tree (e.g. not your children, parents or grandparents) or professional fiduciary serve as trustee. A qualified personal residence trust (QPRT) allows you to place your primary or secondary residence into a trust, greatly reducing your estate tax liability. You continue to live in the dwelling rent-free for the length of the trust term. After that, the home passes on to your heirs, or can remain in the QPRT for their benefit. However, a QPRT is designed so that you outlive the trust terms, which obviously raises uncertainty. 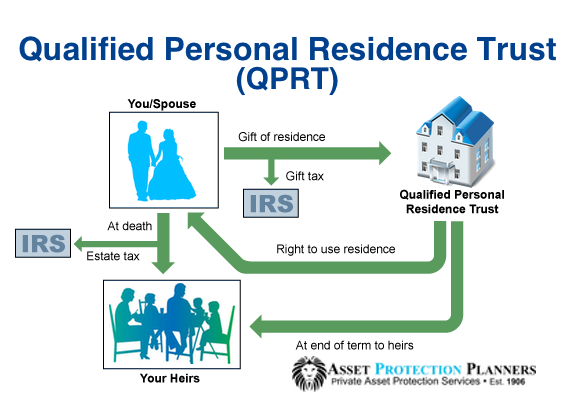 If you die while the QPRT is in effect, the home goes back into your estate for tax purposes. There are tremendous asset protection advantages for this type of irrevocable trust. Once titled to a properly structured QPRT, your legal opponent generally cannot take the house from you. This is especially useful in states that have no homestead protection, such as New Jersey and Pennsylvania; those in or very low protection states such as Illinois, Georgia, North Carolina or Michigan. It is also provides a tremendous advantage to those states with high real estate prices such as California and New York, where values can far exceed the exemption. 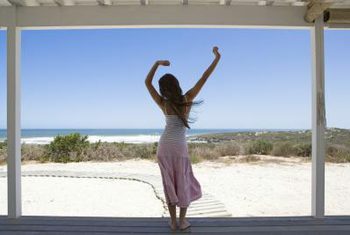 Homeowners are eligible for more than one QPRT. A single person may have two QPRTs, while a married couple may include as many as three personal residences. You can still deduct property taxes and mortgage interest on your tax returns during the QPRT term. QPRT law is complex, and it is essential that you understand what you can and cannot do with the property. Putting a home with a mortgage on it is permitted, but makes less sense for estate tax reasons. A home with a mortgage placed in a QPRT means only the equity is a gift, not the property’s full market value. Selling or refinancing the residence creates tax issues. Moreover, and a lender probably isn’t well-versed in the legal ramifications of a QPRT. If the QPRT term ends and you still want to live in the home, you must pay fair market rent – but to whom? Usually, it is to beneficiaries, but if you have multiple heirs, it becomes tricky. If you continue living in the home and don’t pay rent, the property could end up as part of your taxable estate. Make sure an experienced estate planning expert draws up the QPRT and you understand exactly how it works before signing the documents. Ask your attorney to run through various scenarios based on possible family circumstances so you may consider the outcome in each case. Give to your favorite charity while continuing to receive income – and take a tax deduction. That’s the beauty of an irrevocable charitable remainder trust (CRT). You can fund the trust with long-term appreciated assets that would hit you with a substantial tax bill should you sell them. If the CRT sells these assets, they are tax-exempt. You may also take a partial charitable deduction at the time of the CRT’s funding. Only charities with IRS nonprofit status are eligible for CRTs. After transferring property to the CRT, it is then managed by the charity. 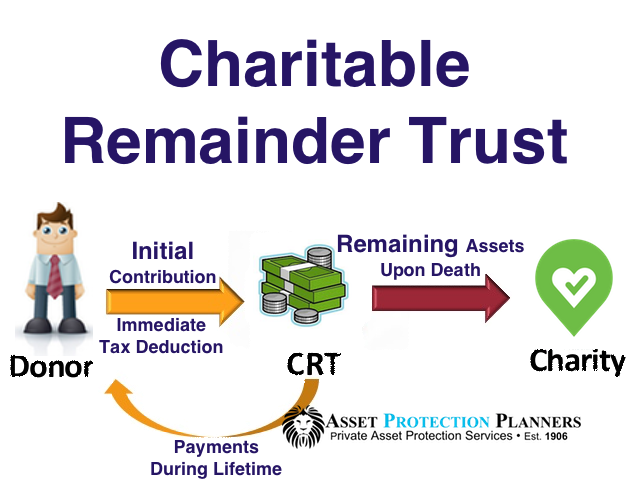 You, or a beneficiary named in the trust document, receive a percentage of the income from the CRT for a predetermined number of years or for the rest of your life. Once that time period is up or you die, the charity owns the property. If you worry your estate is large enough to trigger the death tax, the CRT reduces the potential value as it doesn’t count as part of your estate. Grantor retained annuity trusts (GRAT) allow you to minimize tax liability when passing on assets to children or grandchildren. 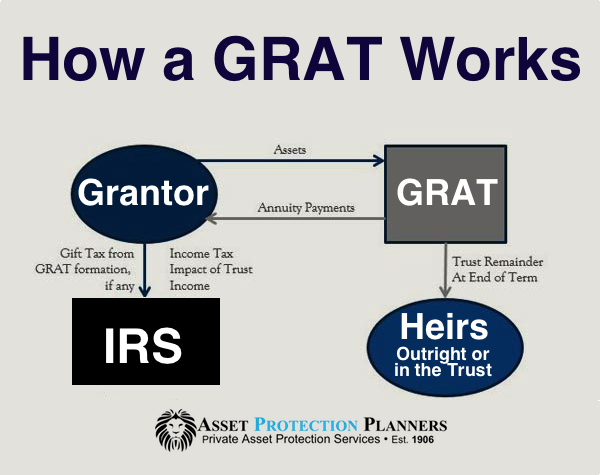 By using a GRAT, you avoid paying gift taxes. There are various types of grantor retained trusts available, and your attorney will advise you on the best type for your needs. There are pitfalls with a GRAT. First of all, you must outlive the trust terms. If you don’t, the trust assets revert to your estate, along with applicable taxes. Secondly, because it is an irrevocable trust, you can’t change the beneficiary. That means if your child or grandchild develops a gambling, substance abuse or other serious problem, they will still receive the assets when the trust term expires. Funds from the special needs trust cannot supply the basics, such as food, shelter and utilities. Setting up an irrevocable trust is one of the best ways to protect assets. The fees are money well-spent for asset protection and tax savings. You are paying for the professional’s expertise, and that is a critical factor in the creation of an irrevocable trust. A well-seasoned expert explains the trust’s terms clearly and answers questions to your satisfaction. Are you interested? Call the number or fill out the inquiry form on this page.